At GDC 2018, Survios announced that they were working in partnership with MGM to create a tie-in game, CREED: Rise to Glory for the upcoming movie CREED II, set to be released in theaters on November 21, 2018, and so I was a bit surprised that it was being shown at this year’s E3. Now, for the most part, E3 is a fairly low-key affair. You attend meetings and press conferences, do interviews, and demo games. So as a result, when I strapped on a PSVR headset and a pair of Move controllers to demo Survios’ upcoming VR boxing title/movie tie-in, I was honestly not expecting much. Mostly because…well, movie tie-in games have a history of being really bad (Pagemaster, anyone?). You play as Adonis Creed, son of the famed boxer Apollo Creed, in this game that takes place between CREED and CREED II, due in theaters this winter. (Image owned by Survios). 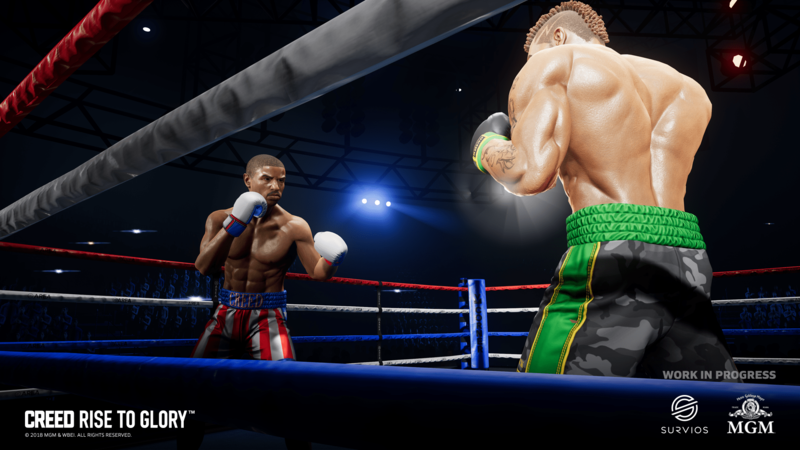 In CREED: Rise To Glory, you play as Adonis Creed as you first train with Rocky “The Italian Stallion” Balboa, and then go from fighting as an underdog to the top of the field as a famous prize fighter. At the start of the demo, Rocky trained me on how to box and how to strike with the Move controllers on a dummy. 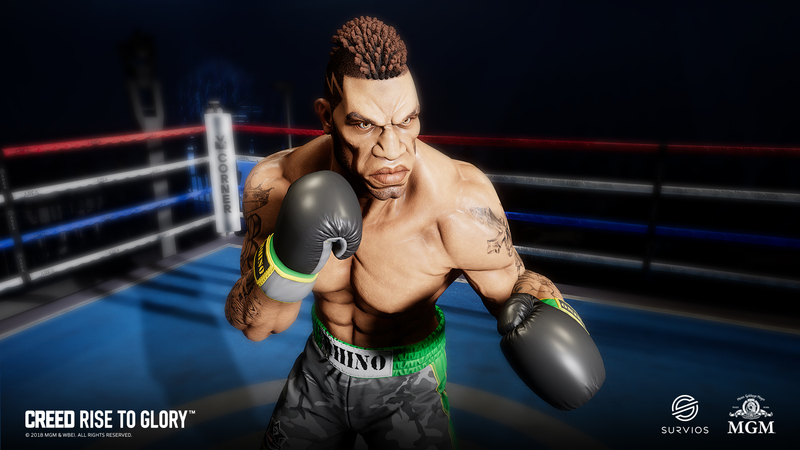 While the VR version of Rocky was barely recognizable, the training simulator felt really realistic, was rather intuitive, and was quite cool to do. The strikes were pretty much one-to-one with the Move controllers (not a small feat for PlayStation 3-era technology), and I picked up on how to box by first hitting a punching bag and then striking the torso/head dummy as each target spot lit up fairly quickly. After successfully training, I was put into my first match. Although in this demo I was not able to move around the ring (and thus I was stationary), I was told that there will be full locomotion around the ring when CREED: Rise to Glory is released. I quickly fell into a pattern of defending myself (by keeping one PlayStation Move raised near my head at all times) and striking with the other hand. I was able to land body blows and head blows and physically dodge attacks, and I was impressed with how real and deep the combat felt. This is not a cartoony fight game like in the Punch-Out!! franchise, but it does not have the gritty-realism of a Sugar Ray Robinson bout. Instead, it falls somewhere in-between. 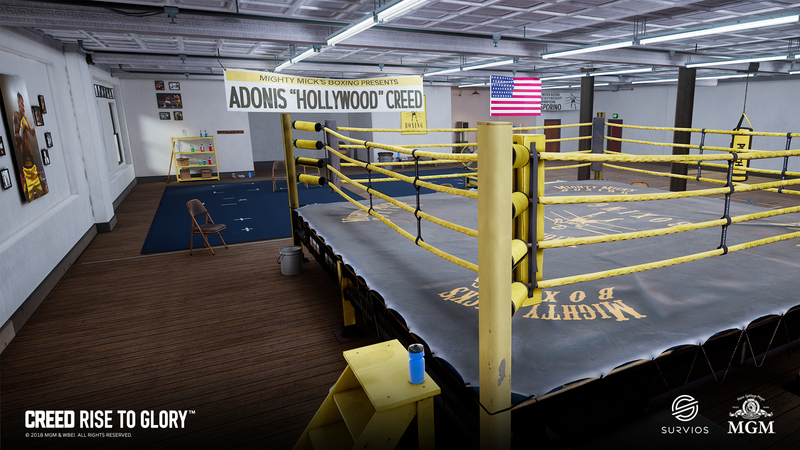 There are a multitude of boxing rings available to fight in in CREED: Rise to Glory. (Image owned by Survios). During my bout, I was able to experience several intriguing mechanics that really enhanced the gameplay of CREED: Rise to Glory. When you physically dodge your opponent’s strike perfectly, time will slow down and you will get to land additional free blows on your opponent before he can recover. Second is Survios’ proprietary Phantom Melee Technology. When your opponent lands a super clean hit on you, you can get ‘knocked out’ of your body and wind up viewing yourself from outside of the ring. You then have to swing your arms back and forth to get back to your body and position your hands as they are helpfully highlighted on the game screen in order to ‘jump back’ into your body and take over again before the referee counts all the way down. Finally, if I threw too many punches at a time, my boxing would start to become fatigued in the game, and I would have to take it slow for a short bit in-game to rebuild my stamina. All of these mechanics felt super cool. When time slowed down because I dodged a punch and I was able to dish out a flurry of blows as punishment, I felt like a real boxer. The Phantom Melee Technology itself felt like a really cool way to recover after a potential knockout, instead of just mashing the Move button or another button to get back into the match. 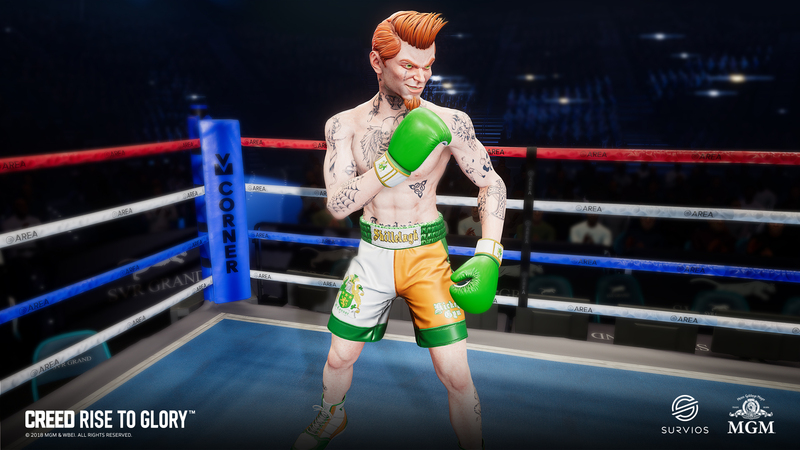 Overall, the combat in CREED: Rise to Glory actually felt like it had a real depth to it, both mechanics wise and VR space wise, to the point where I could buy into that I was actually hitting my opponent in a realistic in-game space. The boxing has a very ‘real’ feel with depth to the blows in this game. Note: The fighting takes place from a first person-perspective (in the demo at least). (Images owned by Survios). I managed to knock my opponent out in under a minute. When I took off the PSVR headset however, I discovered that I was starting to get drenched in sweat. And that is another point worth mentioning- CREED: Rise to Glory is a very physical VR game. In fact, it is one of the most physically exerting VR games I have ever experienced. I honestly hope that when the final game comes out, there is some way to track the number of calories burned and time boxed, as CREED: Rise to Glory could easily fit into a at-home exercise regime (and be one that is actually fun to play!). My CREED: Rise to Glory demo opponent. (Image owned by Survios). 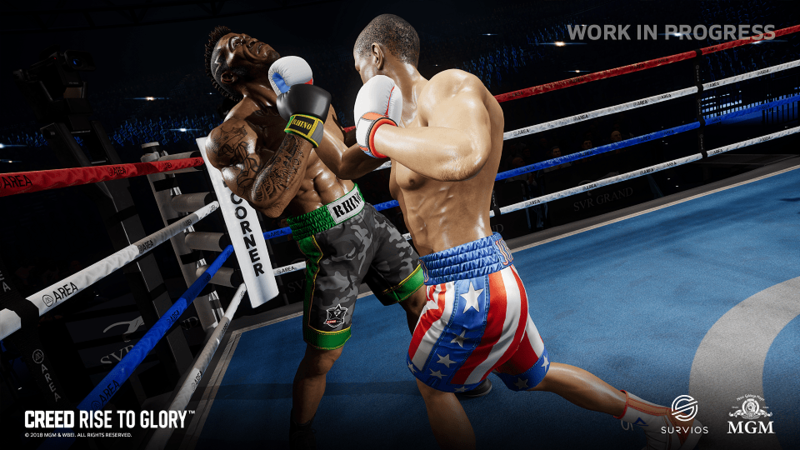 Who do you want to box in CREED: Rise to Glory? Are you excited for CREED II?